Are you a traveler who books with certain companies because you know they wouldn’t discriminate against you? Are you a traveler who fear that you won’t get a service because of the way you look? Two weeks before my trip to New York, I never (knocks on wood) been so stressed making travel arrangements to go anywhere. I rushed to book my flight and accommodations, and figure out everything in-between after receiving notification that I was accepted to attend a travel summit. Mostly, my stress derived from the week and a half I spent trying to book a place to stay. In my search, I found New York hotels to be super expensive. Definitely not within budget. They were a few hundred dollars over what I wanted to spend. My plan B was waiting to hear back from two potential hosts from the Overnight app, a lesser-known Airbnb. I’ve never used the booking platform before. I, however, have with Airbnb. But, the experience was so weird that I didn’t want to use them again. So using Overnight wasn’t as much of a concern because I only needed a room for two nights.Something comfortable, tolerable, affordable, and definitely in the proximity to the summit location. I sent my first request to a young, white woman who charged only $42/night. I’m super cheap. Less than $100 in New York is like getting a hug from Kofi Soriboe (I actually got one!). It’s amazingly unbelievable. I sent an inquiry with the following information. I explained that I was traveling to New York for a summit and wanted a convenient location near the UN Headquarters. I wanted to sound legit. I mean it was. But, I wanted to focus on my business trip and not on myself. That way she wouldn’t focus on my appearance, but rather my plans. While I was skeptical of her profile, I still tried to be seemingly innocent in my inquiry to book her place. In hindsight, it was unnecessary of me to think and act that way, but I feared getting rejected for the way I looked. So I compensated by showing that I was harmless. A week and a half to go before the summit, I try another potential host. This time with another white woman whose photo included a young girl and a man. Sidenote: I don’t book shared spaces from men because I’m afraid to be alone with someone who has twice the strength as me. Weary of the identity of the host, I proceeded to review her profile. Although she presented no photos, she is a member of a women’s travel group to which I also belong. Still, I sent an inquiry. I expressed my interest in her place because of location and affordability. 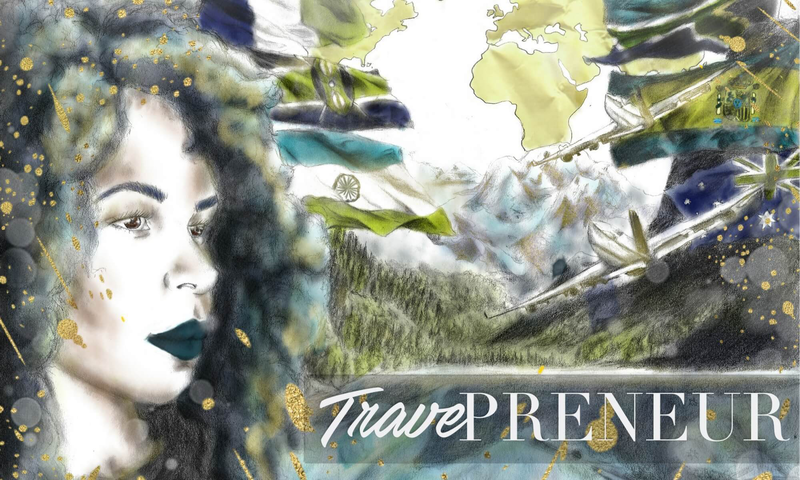 I write that I was a first-time traveler to New York with plans to attend a travel summit. I made sure to mention the UN as the site of the summit. Bonus points I thought. I hit send and prayed that she would respond. Disappointed, I go through the exact same process as before. I wait and wait for a response and still no reply. I feared the way I looked was an instant rejection for me. Stressed that I wouldn’t have a roof for two days, I reluctantly searched Airbnb. I browsed dozens of profiles, rooms, and apartments. I couldn’t find any affordable places. So, I searched the hotel apps again. The frustration was building. 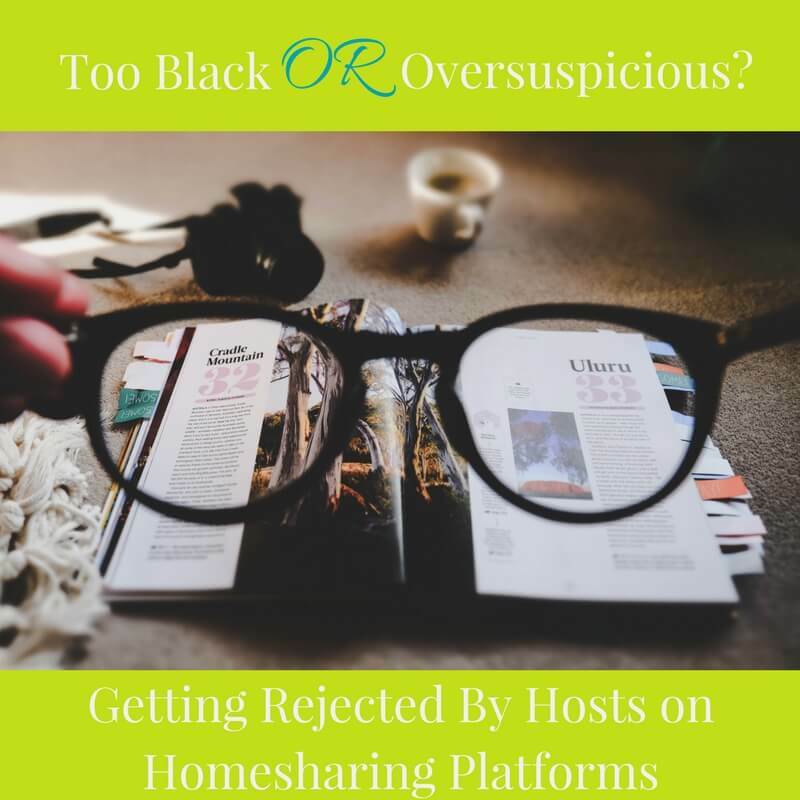 I was too poor to reserve a hotel room and too ethnic to book a room on the shared home platforms. I gave up that night and slept on my anxiety. The next night, I perused the internet and Airbnb again. This time I ran upon a profile of a white woman with a place in Midtown Manhattan, blocks away from the UN. I began looking at photos of her space. Decent I said to myself. For two nights, she charged $277. Cheaper than the $600 dollars I would have to spend to book a hotel. And, more expensive than the $98 I would’ve spent to stay with the first potential host. Regardless, I felt it was a good deal. Or, I was desperate to book something. This time, I told myself, be upfront about your plans. Even the fact that your flight arrives at midnight. So I did just that. I sent my response and hoped that my plan D would work. I slept on my anxiety this night too. I was waiting for my third response from a white host. Would she judge me based on how I look? The next morning, I saw an email from Airbnb that showed that my new potential host had responded. Not only had she responded, she even confirmed that it would be ok for me to check-in after midnight. My fear resided. I couldn’t help but wonder if I had not received a response from the two previous women because of my skin color. Or, my hairstyle. I’m a woman of color. Light-skinned with brown hair and eyes. You can’t tell much else from my pictures. It’s obvious though that I’m not white. While I will never know why the two women never responded, my immediate gut feeling led me to believe that the way I looked conveyed danger. Or, just difference. College-educated, Bachelors and Masters Degree, Educator, Assistant Director of International Programs. Would I then get replies to my inquiries? Or are these hosts as selective as guests? Just like I don’t room with men, some don’t open their homes to black women. Or was I perpetuating stereotypes on strangers and assuming the worst? Am I wrong to assume that not getting chosen is a fear I created for myself or is it a result of what is seen and experienced by many people of color? Catch 22: To answer or not to answer these questions? What has been your experience using the shared home-sharing platforms like Airbnb or Overnight?